Powerful and high efficiency - 2400 RPM and 770 CFM. Come with one set of steel brackets for horizontal/vertical mounting or on floor using. Brand new and high quality. 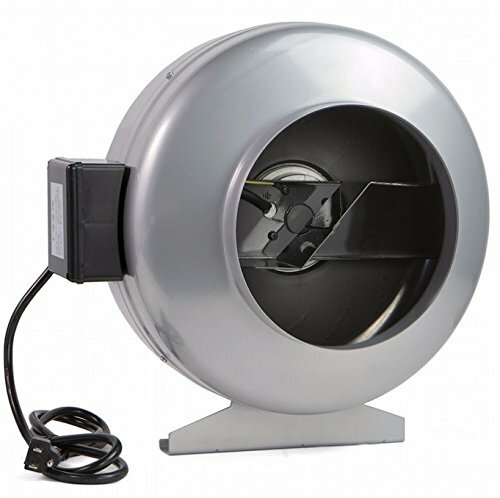 Centrifugal fan is the most popular application for lighting, odor scrubbing, and HVAC. This design allows the reduction of noise and vibration. Along with a permanently lubricated bearing that requires zero maintenance, this fan is designed to be a workhorse for any air delivery needs.